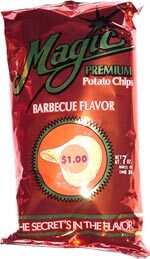 They've got lots of sweet barbecue flavor on a fairly thick potato chip. There's a lot of flavor powder coating the chips. People who stopped by the chip bowl really enjoyed them. Trivia: This bag was a great value at just $1. 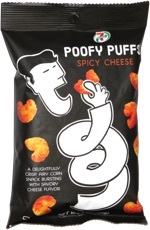 This snack was discovered by Jeremy at Family Dollar.